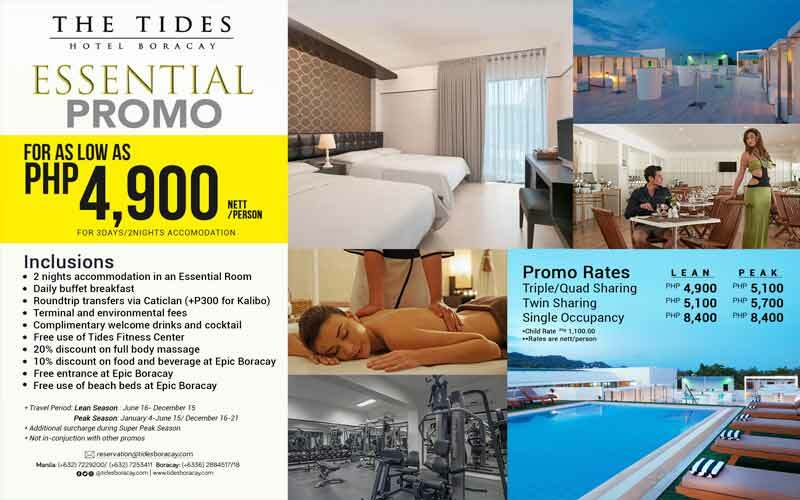 Get more of your money’s worth when you take advantage of The Tides Boracay hotel promos and packages. Check our latest deals and enjoy the amazing perk of a value-filled vacation. 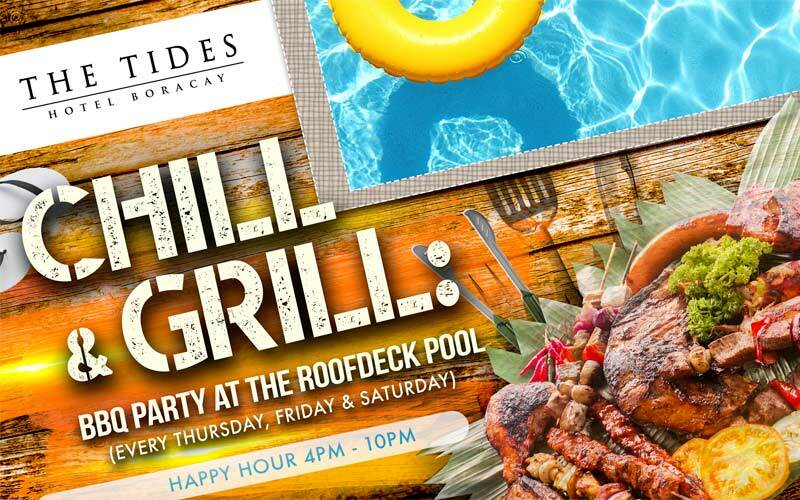 CHILL & GRILL at The Tides Hotel Boracay Philippines’ roof deck! BBQ Party starts at 4 pm every Thursday, Friday, and Saturday. Buy 1 Take 1 on selected cocktails and local beers. You can also get an Andy Cola bucket of 5 for FREE for a minimum purchase of 1,000 from our Chill and Grill Menu. Have a relaxing stay and experience your #BestMomentEver in Boracay for as low as PHP 4,900/person! 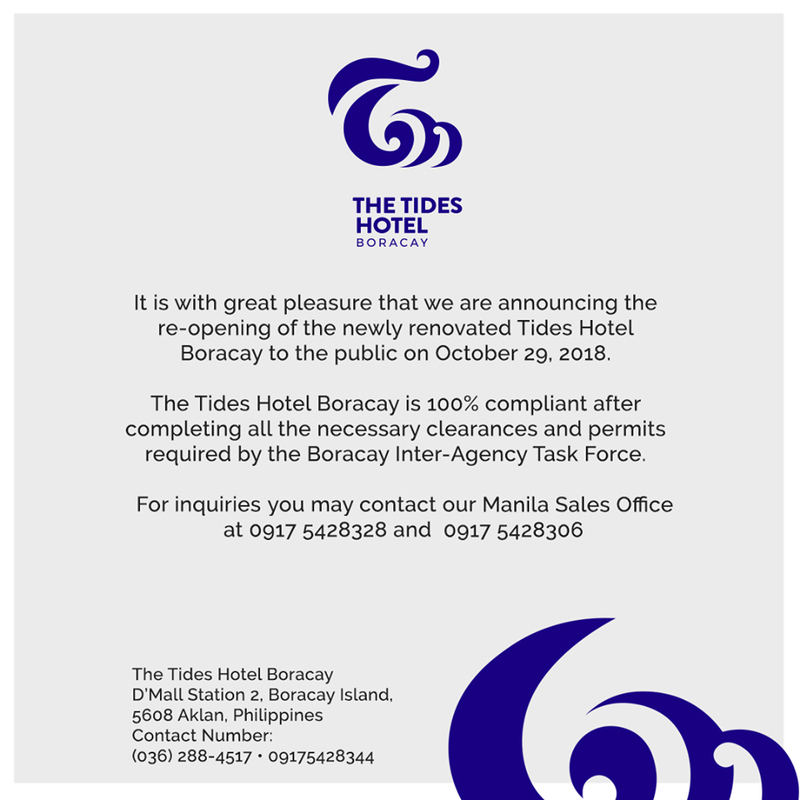 The Tides Hotel Boracay’s promos won’t last long. Reserve your stay today and save big on accommodations.